Product #18591 | SKU CB2 | 0.0 (no ratings yet) Thanks for your rating! The Paralinx 2-Pin Connector Power Cable is a 24", 12 V power cable. 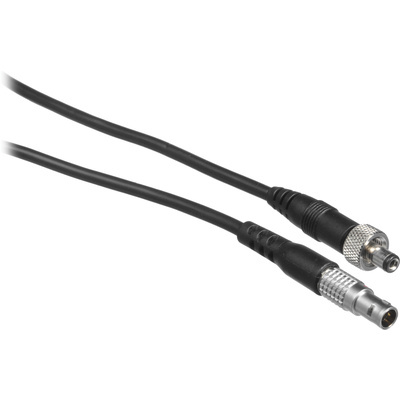 The input features a 7 mm Arri FGG.0B.302.CLAD.42Z-type 2-pin power connector and the output features a locking 2.1 mm barrel connector specifically for the Crossbow HD-SDI to HDMI convertor, which in turn is an accessory for the Arrow and Arrow Plus wireless video transmitters. With this cable you can power the Crossbow as well as the Arrow from a 12 V DC source such as a professional battery system.